The Auto Pilot is an advanced search engine, which gathers and presents site information according to your personal specifications. Simply select an information path from the list, and the Auto Pilot will take you to the relevant pages. You can jump from one page to another using the orange arrows, or by clicking the images. 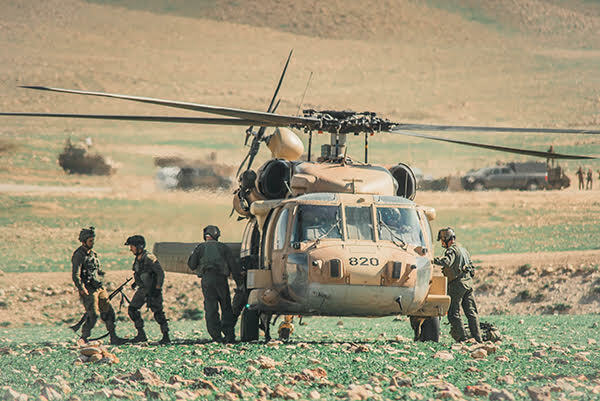 This week, an exercise held by the IDF Givati Brigade alongside the IAF has come to an end. As part of the exercise, IAF forces assisted in live fire and evacuation of casualties. "The air force can't win alone and neither can the ground forces. 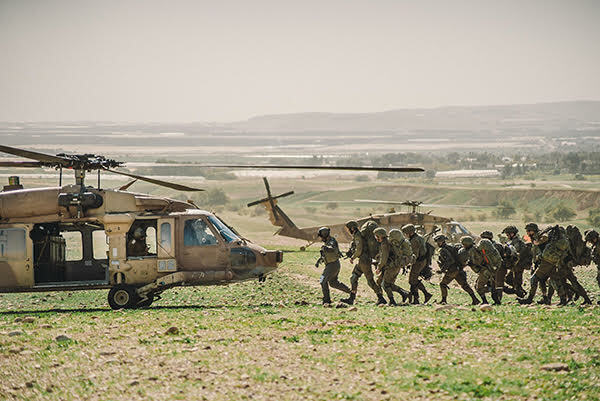 We have to work together"
An exercise was held by the Givati Brigade alongside aerial forces this week in order to improve the forces' operational fitness and cooperative capabilities. The forces drilled troop transport, air support and casualty evacuation. Taking part in the exercise were the 123rd ("Desert Birds") and 124th ("Rolling Sword") Squadrons which operate "Yanshuf" (Black Hawk) transport aircraft, the 190th ("Magic Touch") Squadron which operates "Peten" (Apache) attack helicopters and the 113th ("Hornet") Squadron which operates "Saraf" (Apache Longbow) attack helicopters. 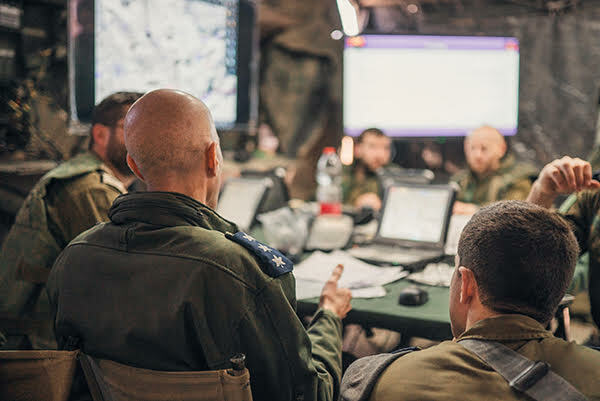 As part of a force-wide multi-year plan, the IAF Commander decided to emphasize the cooperation between the IAF and the Ground Arm, holding more exercises than before. "This exercise included more aerial forces than any other brigade exercise", said Capt. G', responsible for the Ground Exercise Department at the IAF Cooperation Unit. "It's critical that we learn to train together so that operational activity doesn't end up being the first time we cooperate. The air force can't win alone and neither can the ground forces. We have to work together". 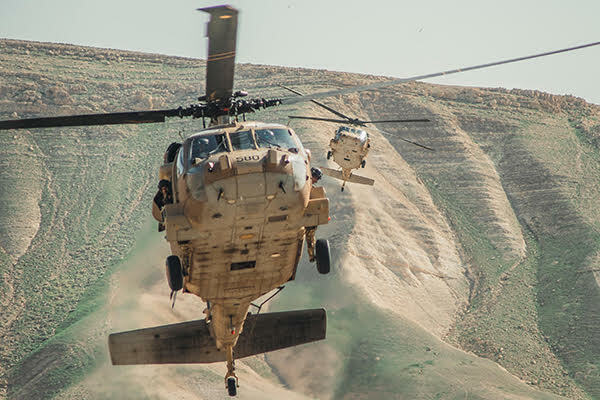 Over the past week, IAF and Ground Arm service members drilled mutual combat procedures, facing various operational dilemmas – for example, what happens when a helicopter needs to evacuate casualties from areas under threat? Or, what does one do when a helicopter reaches a certain point but the forces aren't there? The Transport Helicopter Division played a central part in the exercise, assisting in troop transport and casualty evacuation under live fire. "Each helicopter has a limited amount of fuel", said Lt. L', the 124th Squadron's exercise leader. "If we want to make the most of the exercise, we have to perform our missions perfectly with no mistakes and without delay". The forces remain in contact even after the missions end. This way, the helicopter crew can update the forces regarding the situation in the field and report in regarding threats as they arise. The 123rd Squadron also participated in casualty evacuation scenarios. "There were three crews spread across several helicopters – we briefed together and received all the relevant intel in real-time. Together, we decided what equipment we would bring onboard, loaded it onto the helicopters and received permission to take off", said Lt. A', the 123rd Squadron's exercise leader. The Attack Helicopter Division also participated in the exercise, providing the ground forces with air support. "Whenever a sudden event occurs, our job is to provide the best assistance possible", said Lt. Y', the 113th Squadron's exercise leader. "In order for that to happen, we need to train a lot". The combatants don't know what to expect during the exercise, just as they wouldn't know what to expect during wartime. Using unique advanced technology, the aircrew members in the cockpit receive intel regarding the position of the forces, both friendly and hostile – this allows them to operate quickly. 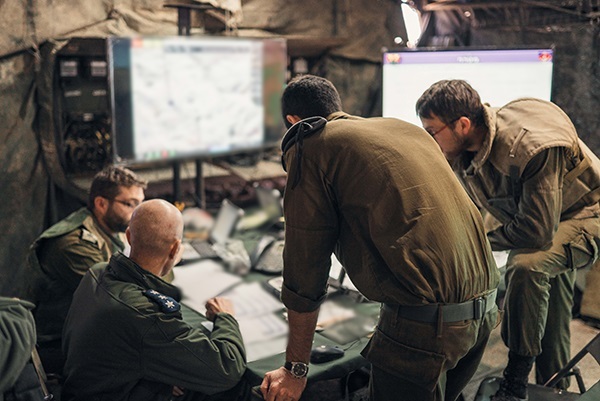 In addition, the pilots converse with ASOs (Air Support Officers) from the Cooperation Unit just before taking off in order to coordinate the sorties. "What's unique about an exercise of this sort is the missions' unexpectedness", elaborated Lt. Y'. "It's important for the pilots to know how to use the knowledge they gained in previous exercises and stick to the flight elements, in order for them to work properly in every unexpected scenario they encounter". Lt. Y' spoke excitedly of his impression of the ground forces: "They described the attack helicopters' arrival in the field as an angel coming from the sky to their aid. We want this statement to prove itself, hoping that we'll be able to be in the right place and the right time at the moment of truth, helping the ground forces win the war". The exercise was led by the IAF Cooperation Unit, responsible for making the most of the participating aerial forces. "The unit's mission is to synchronize the aerial forces and the ground forces", elaborated Lt. G'. 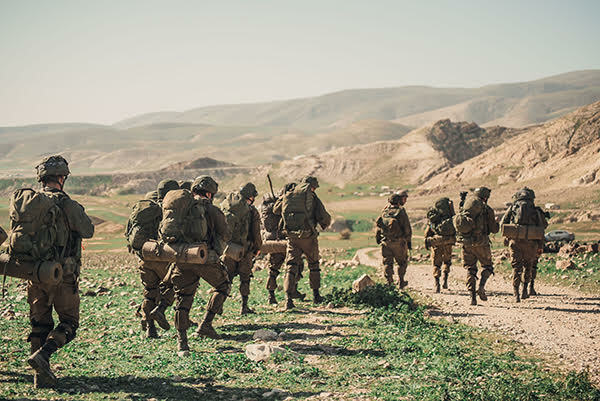 When planning the exercise, Lt. G' maintained a constant line of communication with the Givati Brigade commanders. "We decided that transport helicopters would land in the field and fly forces to enemy territory in order to assist the brigade in its operations. In addition, we chose to drill casualty evacuation and attack helicopter support, with the brigade commander radioing the force and directing the pilot".